Insert winter/holiday season pun/quote here. I’ve probably consumed more pumpkin foods than I should’ve this fall, and now I’ve been turning to gingerbread and mint. 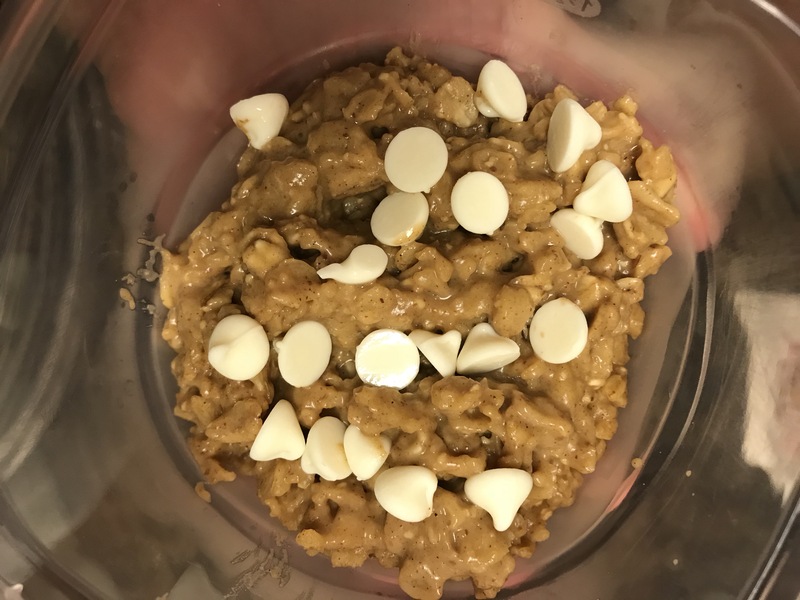 As my adventure through my Pinterest pins continues, I’ve been trying to see how I can utilize my baking pantry in other ways that cookies and muffins. 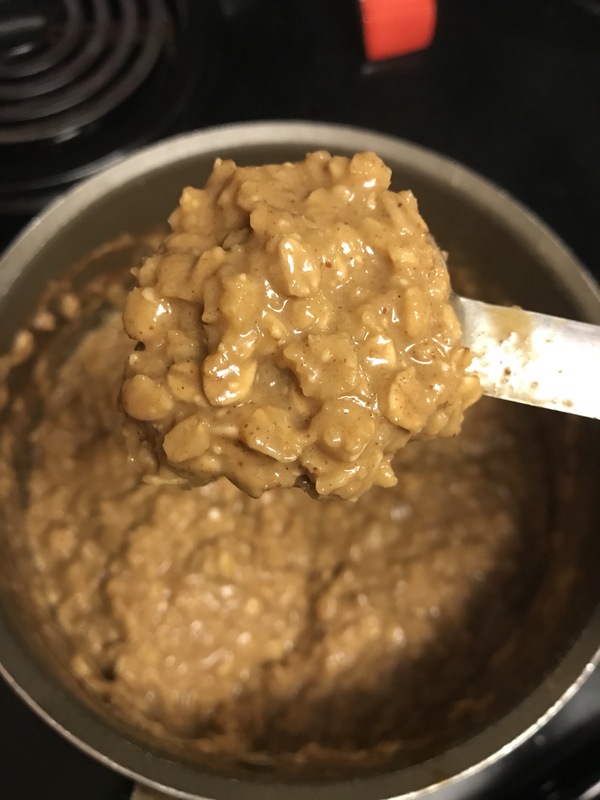 I had found a few pins for gingerbread oats, but many had barely any oats and they were loaded with sugar. 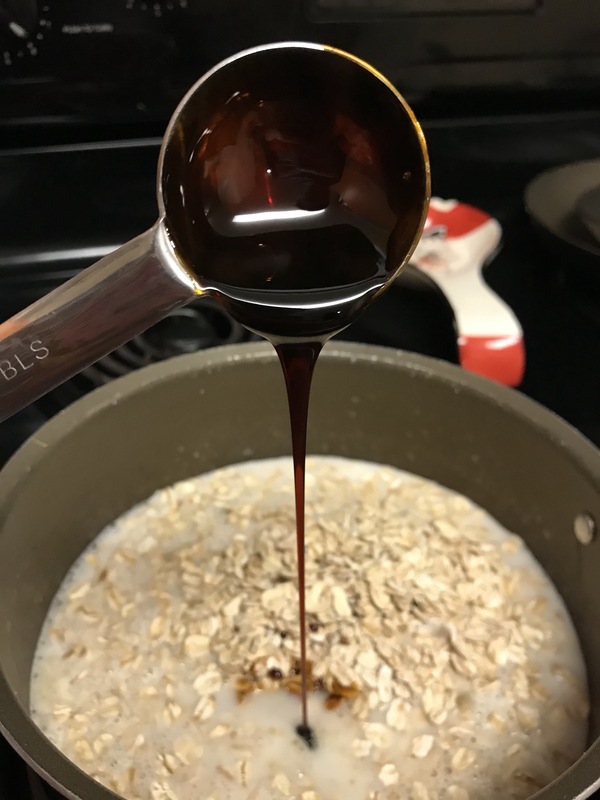 You can make good, sweet oats, without loading them with sugars or carbohydrates that won’t provide satisfaction. So if you don’t mind stove top and you have about 5 minutes or so, this recipe may put you in a mood that satisfies the desire for gingerbread cookies while leaving you’re stomach full. Using a medium sized pot, you’ll want a little room, warm on low heat about 3/4 cup of milk. When the milk is slight hot to touch (not boiling), add half a cup of rolled oats. This is a serving for the store brand I used. Keep the burner on low heat, you don’t want these boil and burn on the bottom. Mix in 3/4 tablespoon of molasses. 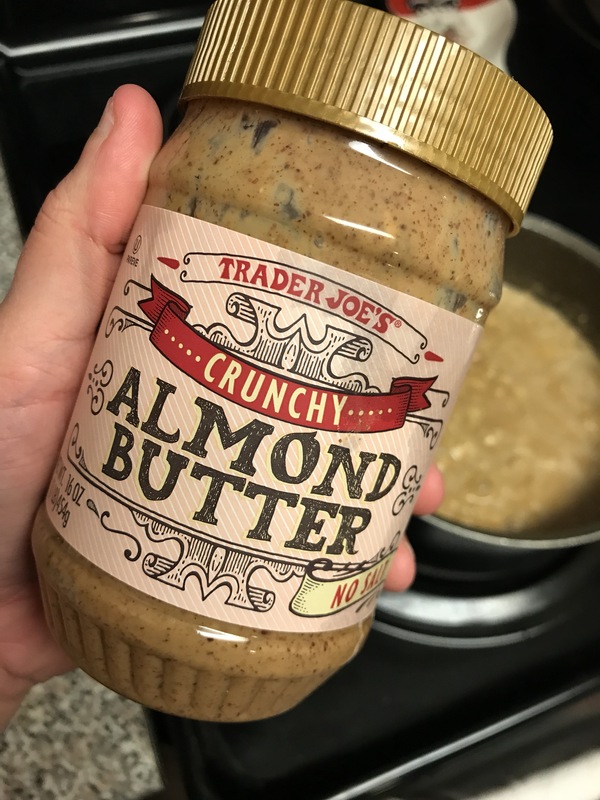 Mix in 1/2 tablespoon of almond butter, I used crunchy because I prefer it. 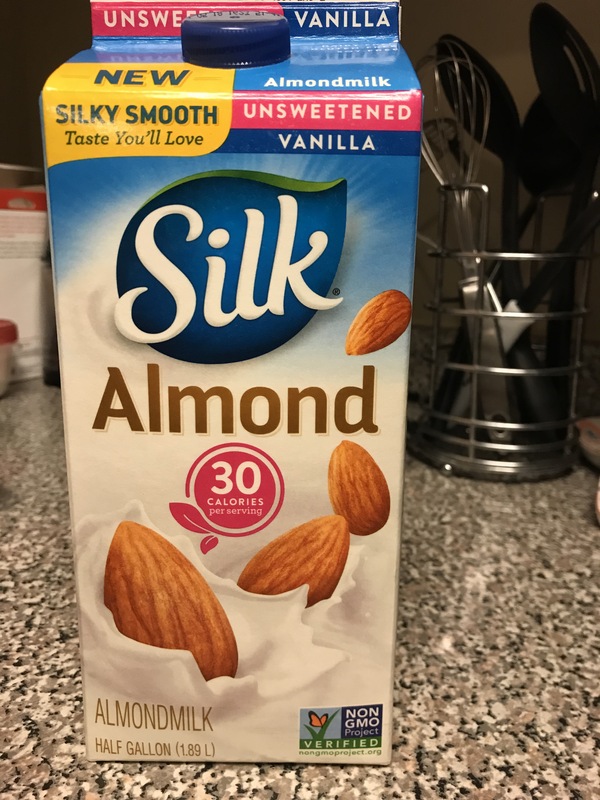 You can use smooth or crunchy – you can even use peanut butter if you don’t like almond butter. Immediately remove pot from burner and either store in a tupperware for later or bowl for serving. 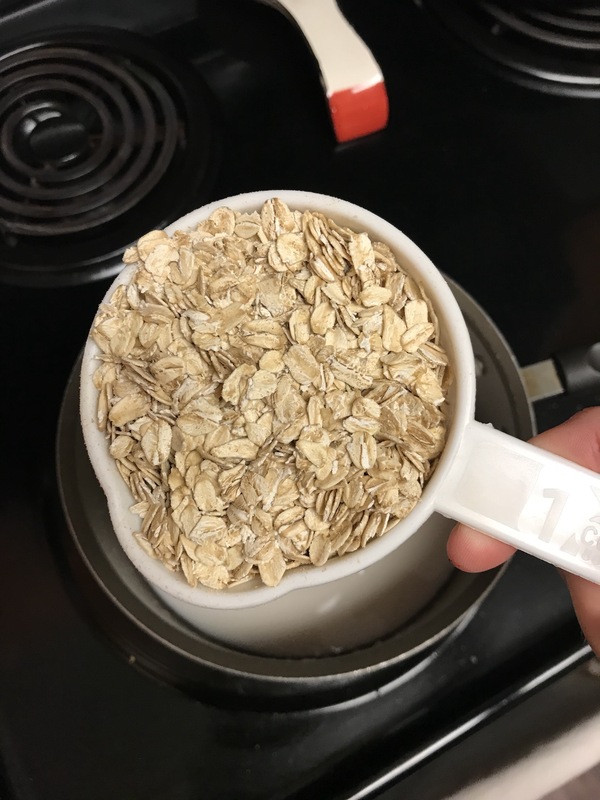 Removing from the burner is important because even if you turn it off the heat will continue to cook the oats. Top off with a few white chocolate chips. This is completely optional.